Desi ghee consists of high levels of vital vitamins, such as vitamin A, vitamin E, vitamin K and vitamin D. These fat-soluble vitamins get absorbed into our bloodstream quickly with the help of dietary fats present in it. Thus, they help in a number of tasks like preventing cell damage, averting the growth of cancerous cells, assisting in blood clot, and so on. Several studies have disclosed that desi ghee contains saturated fatty acids, like omega-3 fatty acids, omega-6 fatty acids, Conjugated Linoleic Acid (CLA), butanoic acid, etc. From common bacterial effects to fatal cancer, these good fats are helpful in healing a number of health conditions. They also facilitate cholesterol balance; prevent the formation of arterial plaque; build, strengthen and protect cell membranes, and many more. During cooking, the cholesterol and lactose of desi ghee gets burnt off, which makes the item extremely easy-to-digest. Moreover, it stimulates digestive glands to secret acids so that essential nutrients are absorbed in our body fast. In short, regular intake of desi ghee can turn the process of metabolism faster and make our digestive health better. As desi ghee can give our metabolism a significant boost, we can include it in our weight loss diet easily. However, we need to consume it in moderation and the diet must be a well-balanced one. While butter as well as other cooking oils gets carcinogenic in high heat, desi ghee remains absolutely intact. It can tolerate as high as 375°F temperature and keep us healthy by holding the nutritional value of the food for long. 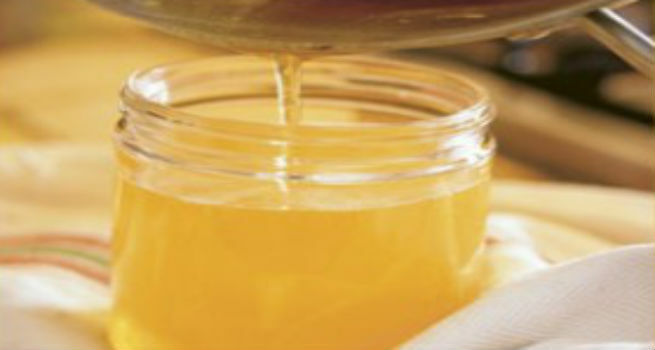 Desi ghee is considered to be the ‘ultimate anti-inflammatory food’. It can put a check to the secretion of leukotriene and lower the level of prostaglandin in our body. As a result, we get rid of severe inflammation, which eventually slows down our ageing. There are very few foods that provide necessary micronutrients to our body and desi ghee is one of them. It is rich in Conjugated Linoleic Acid (CLA) and vitamin K2, which are known to induce anti-oxidant effects and avert calcification of arteries respectively. If desi ghee is compared with butter, you will find that it comprises lesser amount of fat. In addition, most of the fats present in it are saturated, which makes the food a better choice for people with high cholesterol. Being a reliable cholesterol-controlling agent, desi ghee can maintain the health of our heart efficiently. Also, it does not contain salt at all. Hence, consumption of this food item can keep lethal cardiac diseases at bay. Last but not the least; desi ghee makes us stronger both physically and mentally. It also plays a crucial role in lubricating our connective tissues thereby making our body more flexible and easy-to-move.